TNT’s coverage of the NBA’s 2016 – ’17 season continues Thursday night with a double-header schedule beginning at 8 p.m. EST. The Bulls and Heat lead TNT’s Thursday night NBA coverage. The game marks the first time that Dwayne Wade, now a member of the Bulls, will face his former teammates and their new rising star Justise Winslow. Tipoff is scheduled for 8 p.m. EST. Marv Albert will have the call for the game. He will be joined by analysts Kevin McHale and Charles Barkley for additional commentary. Reporter David Aldridge will have all of the game’s latest interviews and in-game news. The Sacramento Kings host the Los Angeles Lakers in the second game on the night. Tipoff is scheduled for 10:30 p.m. EST. Kevin Harlan will have the call for the game. He will be joined by analysts Reggie Miller and Brent Barry for additional commentary. Reporter Ros Gold-Onwude will have all of the game’s interviews and in-game news. Ernie Johnson, Kenny Smith and Shaquille O’Neal will round out the nights’ games on Inside The NBA presented by Kia. They will be joined by analyst Kevin Garnett for additional commentary. TNT’s NBA coverage continues next Thursday, November 17th live beginning at 8 p.m. EST as the 76ers face off against the Timberwolves. Dwayne Wade and the Bulls will follow at 10:30 p.m. EST as they take on the Utah Jazz. TNT will kick off its coverage of the NBA’s 2016-2017 season Tuesday night with a double header matchup. Opening Night presented by Autotrader opens Tuesday night at 7pm with live coverage of the Cleveland Cavaliers receiving their championship rings. Following the ceremony, Cleveland will play host to the New York Knicks at 7:30 p.m. ET. The game was originally scheduled to air at 8 p.m. ET. The second game on the night will see the Golden State Warriors–on the heels of an historic 73-win season—hosting the San Antonio Spurs at 10:30 p.m. ET. The 2016-’17 season marks the 21st season that TNT has launched its NBA season coverage with a double header schedule. Marv Albert will have the call for the Cavs/Knicks game. He will be joined by analyst Chris Webber for additional commentary. Reporter Kristen Ledlow will be on hand for all of the latest in-game news and interviews. Kevin Harlan will have the call for TNT’s coverage of the Warriors and Spurs. He will be joined by analyst Reggie Miller for additional commentary. Reporter David Aldridge will be on hand for all of the latest in-game news and interviews. Tuesday night’s double-header schedule will be preceded by TNT’s pre-game coverage beginning at 5 p.m. ET. Ernie Johnson, Charles Barkley, Kenny Smith and Shaquille O’Neal will be live for the network’s pre-game coverage and for the network’s American Express Halftime Report. The trio will also wrap up the night’s action on the network’s post-game show, Inside the NBA presented by Kia. TNT’s NBA coverage continues Thursday night with another double-header beginning at 8pm ET as the Bulls host the Celtics. Marv Albert will have the call for the game. He will be joined by analyst Mike Fratello for additional commentary. Reporter Kristen Ledlow will have all of the latest in-game news and interviews. Portland hosts the Clippers in the second of the night’s games beginning at 10:30 p.m. ET. Kevin Harlan will have the call for the game. He will be joined by analyst Reggie Miller for additional commentary. Reporter David Aldridge will have all of the latest in-game news and interviews. 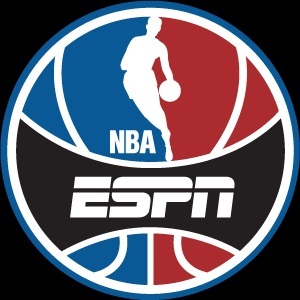 ESPN’s NBA Saturday Primetime on ABC presented by La Quinta makes its debut broadcast this Saturday night. This weekend’s broadcast of NBA Saturday Primetime on ABC presented by La Quinta marks the first time ever that any of the major broadcast networks will have ever broadcast an NBA game on a primetime NBA weekend series. Mike Breen will have the call for Saturday’s premiere edition of NBA Saturday Primetime on ABC presented by La Quinta. The Cleveland Cavaliers will host the Chicago Bulls on this weekend’s season premiere of ESPN’s new NBA program. He will be joined at the desk by analysts Jeff Van Gundy and Mark Jackson. Lisa Salters will also be on hand for additional commentary.